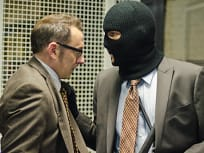 On Person of Interest season finale, the FBI gets closer to Reese while he tries to protect a psychologist from her patient. 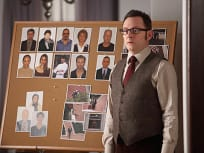 On Person of Interest, Finch finds himself involved in a dark government conspiracy. Reese's birthday and the new POI brings back haunting memories of Jessica. Finch and Carter must deal with a Reese going rogue. 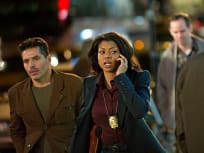 The Machine's latest caper forces Reese to go undercover with the crew of an armored truck and brings back reminders of a past CIA operation on Person of Interest. The Machine spits out five numbers, each one of them naming the Don of a New York crime family. Is Elias trying to eliminate his competition? 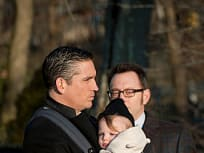 Reese and Finch face a challenge on Person of Interest this week: The Machine spits out an individual with no digital footprint. The Machine throws Finch and Reese for a loop this week by spitting out the number of a six-month old baby. Reese and Finch turn to Wall Street this year, as The Machine churns out the name of a young trade at an investment bank. Reese infiltrates a smuggling ring this week. And ends up teaming with Detective Carter. This week's Person of Interest? The teenage brother of someone who was recently murdered. Paige Turco is back on this episode of Person of Interest. She returns as Zoe to assist with the latest case. Carter comes face to face with Reese on this episode. The latter urges the former to join forces with him on the latest case. 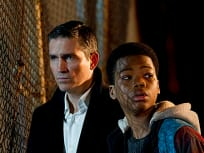 Reese and Finch track their latest POI on the first episode of 2012. He's a building super who keeps a VERY close eye on his tenants. The Machine gives Finch and Reese a challenge this week. It spits out four social security numbers instead of one. You'll be shocked at who The Machine spits out this week as the new POI: Carter herself. Finch and Reese learn that their latest Person of interest has ties to the Cold War this week. This takes them back to the days before The Machine. A school teacher who witnesses a mob hit is the Person of Interest this week. Reese and Finch are off to save his life. Does Reese have a crush? 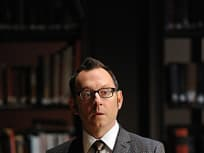 He's captivated by the duo's latest POI. A judge is the Person of Interest this week. He's known for being tough on crime. Detective Carter confronts Finch this week. Elsewhere, the latest POI is a promising young doctor. Reese goes undercover with a gang of thieves this week, a move questioned by Finch. Carter, meanwhile, takes a step closer in her investigation. 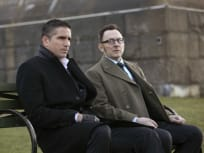 Reese and Finch question The Machine this week. Is it truly infallible? 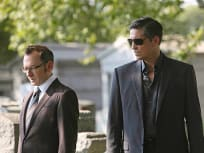 We meet Finch and Reese on the series premiere of Person of Interest, as the former recruits the latter for a special mission.